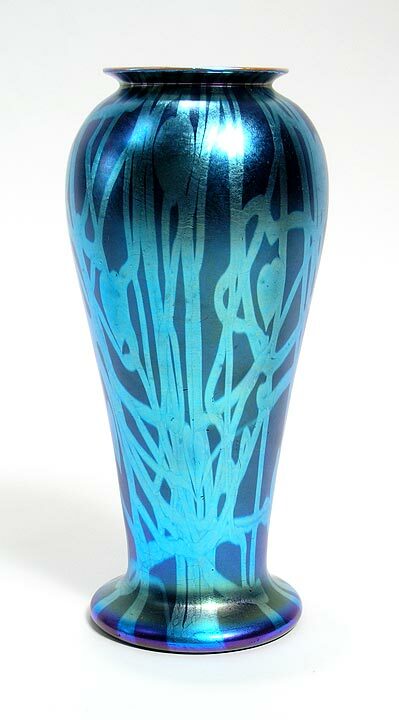 Blue decorated vases are rarer than most other colors. 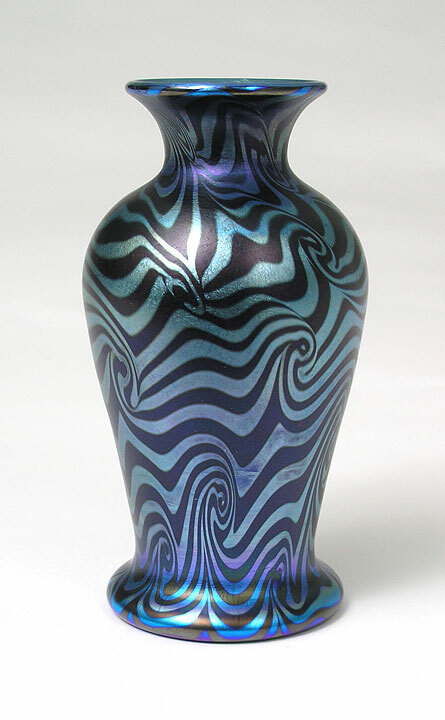 This example has exceptional vivid coloring. It's a wonderful example of fine Durand workmanship. 7". Unsigned. Mint condition.